3% YoY rise in 3Q17 underlying profit. Interim div of 0.693 S cents. Golden Agri Resources (GAR) saw a 2.9% YoY fall in revenue to US$1.8b and a 80.1% drop in net profit to US$43.7m in 3Q17. However, excluding one-off items, underlying profit rose 3.0% to US$79.5m in 3Q17. In 9M17, PATMI was 70.8% lower at US$103m, accounting for 70% of our full year estimates but only 58% of Bloomberg’s FY17F consensus; the significant drop was mainly because of the recognition of deferred tax income on revaluation of US$242m in the previous period. Underlying profit for 9M17 was 80.3% higher at US$217m. The plantations and palm oil mills segment delivered 3Q17 EBITDA of US$134m, resulting in a 9M17 figure of US$378m. This is 58% higher compared to last year, mainly due to rise in fruit production by 27% to 7.3m tonnes, aided by favourable weather conditions after the severe drought of El Nino in 2015. For palm and laurics, the segment’s 3Q17 EBITDA was US$43m, leading to a 9M17 EBITDA of US$122m; the latter was 10% lower than the same period last year as the segment was affected by higher input prices. As for the oilseeds business in China, market conditions are competitive; this segment contributed EBITDA of US$8m in 9M17. Golden Agri Resources (GAR) is still planning to rationalize its China operations, which we estimate have a total book value of about US$500m. The segment that the group is looking to rationalise has an estimated book value of about US$140m, of which a significant portion relates to oil seeds processing in Tianjin. The remaining US$360m likely relates to the deep sea port and storage facility for oils and grains in Ningbo, oil seeds processing and refining facilities there, as well as the noodles business in China. 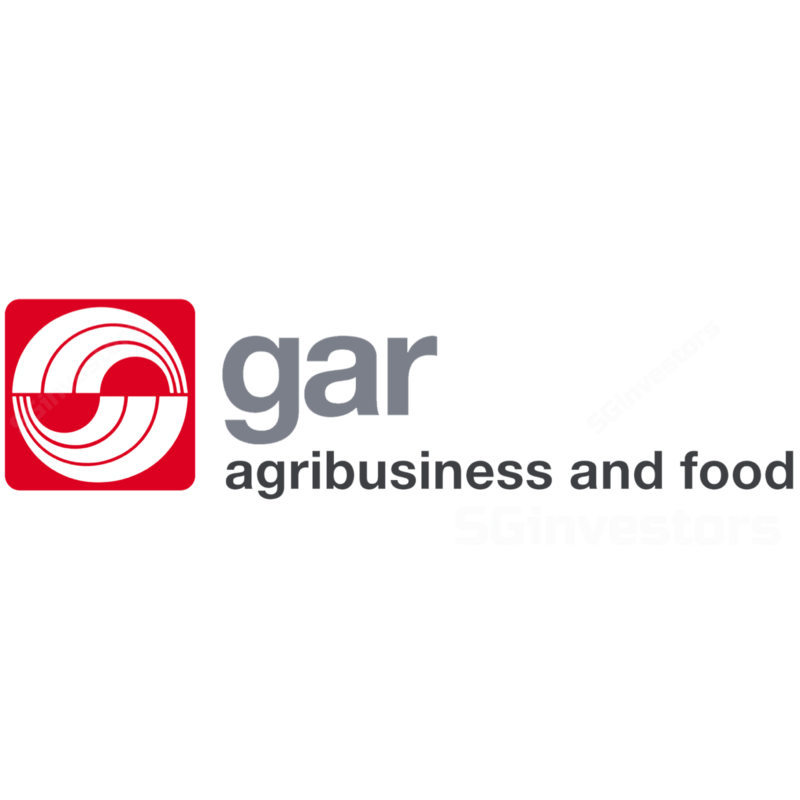 An interim dividend of 0.693 S cents/share has been declared, representing 30% of GAR’s underlying profit.